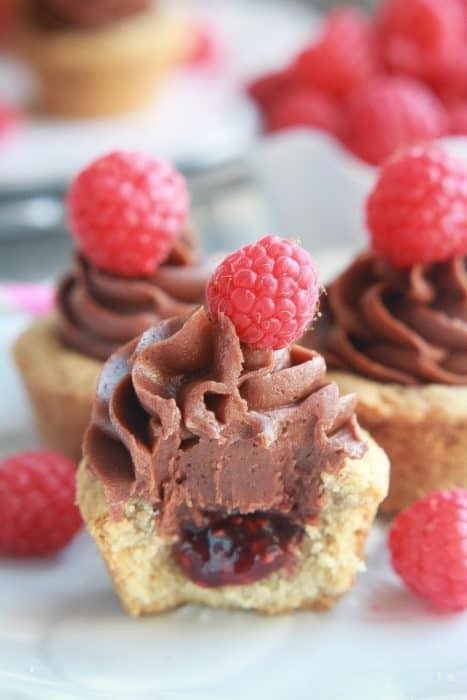 Raspberry Nutella Cookie Cups make the perfect sweet treat. 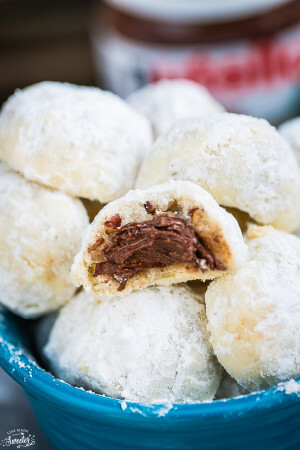 A soft and chewy cookie dough filled with raspberry jam & a rich and creamy Nutella frosting. It’s Friday and I thought we all could use a sweet treat for making it through another busy week. Have you guys tried making cookie cups? They are so much fun to make and they’re mini so that automatically makes them so much cuter, right? 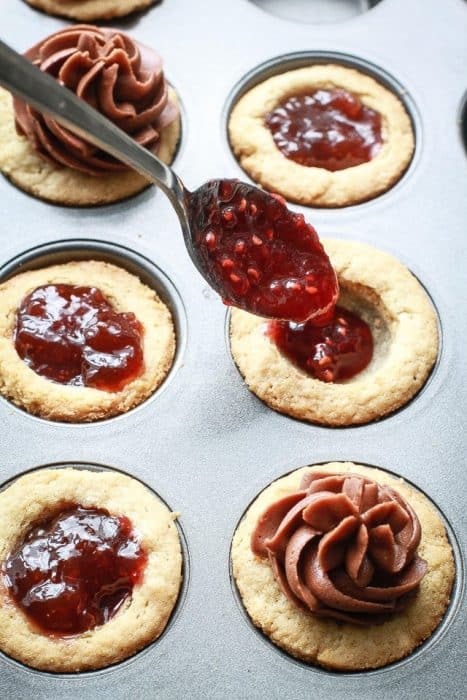 For these Raspberry Nutella Cookie Cups, I filled them up with some sweet raspberry jam along a rich and creamy Nutella frosting. A nice and plump fresh raspberry sits on top for the perfect touch of color. The combination went together beautifully and they’re just perfect for those times you want an indulgent treat to keep you going. They would also be great for a baby shower, wedding shower or a Mother’s Day celebration. A soft and chewy cookie dough base is filled with a sweet raspberry jam and topped with a rich Nutella cream cheese frosting. Preheat oven to 350 degrees F and spray a mini-sized muffin pan with cooking spray and set aside. In the bowl of an electric mixer fitted with the paddle attachment, cream together butter and sugars until light and fluffy, about 3 to 5 minutes. Add egg, then vanilla and mix until combined: scraping down the bowl as needed. Roll into 1 inch balls (about a heaping 1 tablespoon) and place dough into prepared muffin tin, dividing the dough evenly among cups. Place an indentation in the middle of the cookie cups either with your thumb or the back of a teaspoon. Bake for 10 to 12 minutes, or until edges are golden. Remove from oven. Using the back of a teaspoon or something similar, immediately press down on the center of each cookie to form a cup. Allow to cool completely. In the bowl of a stand mixer, whip the butter on medium speed until creamy, about 3 minutes. Add cream cheese, Nutella, and vanilla and beat until fully incorporated, scraping down the sides of bowl as necessary with rubber spatula. Turn the mixer on low and gradually add the powdered sugar until combined. Add more powdered sugar depending on the level of consistency and sweetness desired. Turn mixer back to medium-high speed and beat until smooth while scraping down sides of bowl as necessary, about 1 to 2 minutes. Spoon about 1/2 teaspoon of raspberry jam and fill into the middle of each cookie cup. Fill a pastry bag fitted with a star tip with the Nutella buttercream and pipe frosting over to create swirls. Looking forward to seeing your Cinco de Mayo round-up! These cookies cups look adorable! 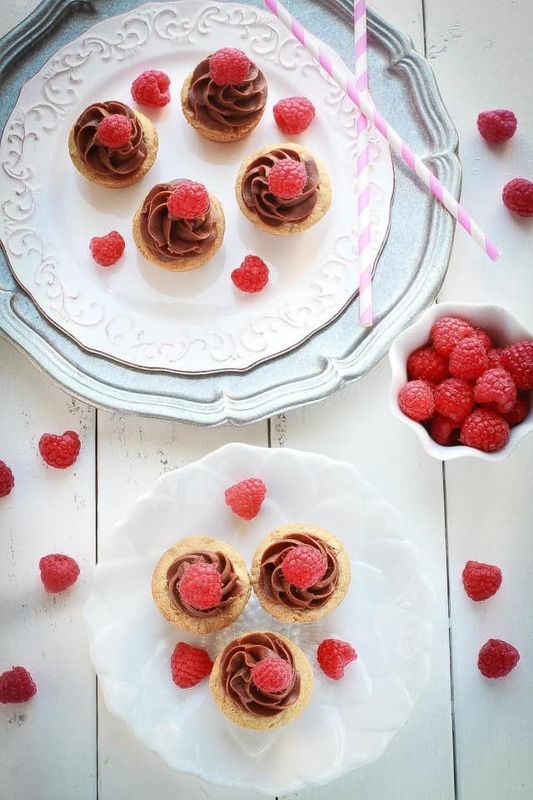 Nutella and raspberries are a match made in heaven! Absolutely adorable! I can’t take my eyes off from those cuties, Kelly. This is just what I need on this Friday morning, Kelly! These cookie cups are absolutely gorgeous! And that nutella is just calling my name. Heading over to check out the recipe! What a delicious and decadent combination! I’m on such a nutella kick right now, and having these cookie cups on hand for random snacking would make my day!! These are such a cute little dessert! They look delicious! These look incredible! 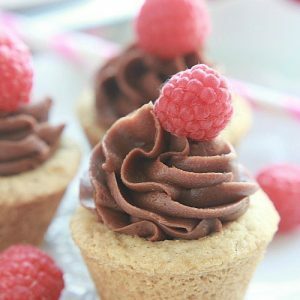 Love the combination of nutella and raspberries! Kelly, LOVE these cookie cups!!! LOVE the sweet raspberry jam inside!!! Have a happy Friday and great weekend!!!! Sooo very ADORABLE and YUMMY! Have an awesome weekend!! These are lovely – visually and flavor-wise. Totally making me feel Mother’s Day and spring/summer tea parties. Have a great weekend, Kelly! So cute, Kelly! I’m imagining these as the perfect little bits for birthdays and backyard tea parties. Plus, how can you go wrong with chocolate and raspberry? Have a great weekend! Kelly these are SO stunning! I love the flavors and the pretty appearance and everything about these! Perfect for Spring and Mother’s Day!! Is it crazy that I have NEVER had NUTELLA before?! These would be perfect for my niece bake off she’s having. I definitely have to refer this recipe. I am so loving this. I actually wish I had this sinful treat right now :). Kelly, these are too adorable! I can nibble these cuties all day long. Who can say no to raspberry and nutella? Yayyyyyy for mini food! These are so adorable and mouth-watering Kelly! Love love love! These are so fun! Nutella and raspberry is one awesome combo! These are gorgeous Kelly! Nutella and raspberry is a great combination! Too cute ! Pinned! They look absolutely adorable, perfect for a girls’ night out, heh? :)! You can never go wrong with cookie cups! I am looking forward to your Cinco De Mayo round up too! 🙂 Pinning! I love these little cookie cups! 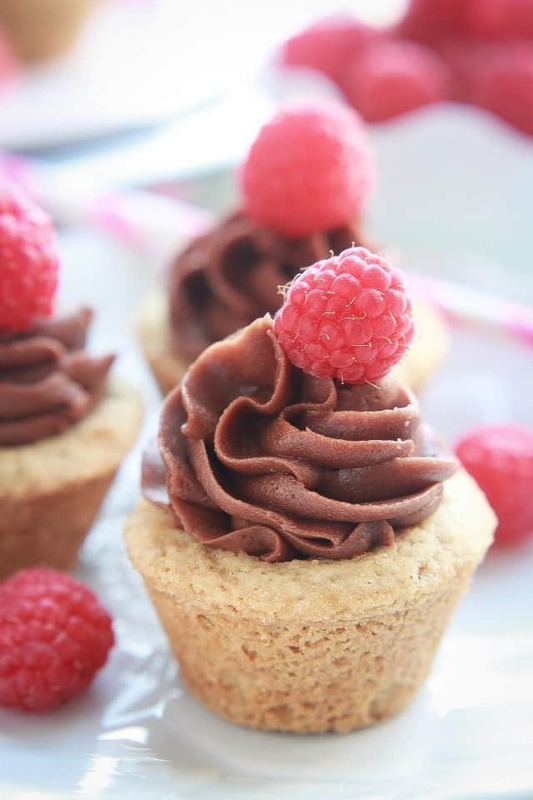 The little bit raspberry filling is adorable and the perfect pairing with the nutella! What a beautiful mini treat! 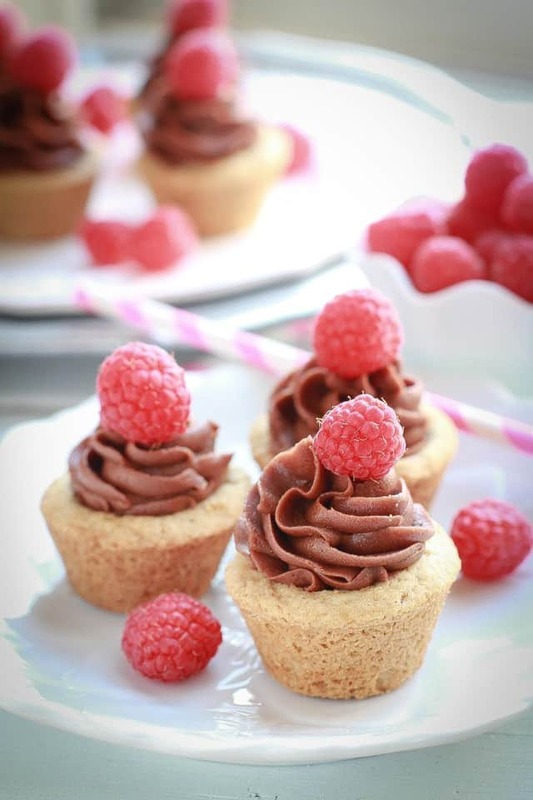 Love Nutella and raspberries together! Oh my gosh! Chocolate and Raspberry are an amazing combo, but NUTELLA and raspberry?! I’m dying to try these! These are so cute! I love the surprise of jam inside them. This is exactly what I was looking for! I’m having a tea party for mother’s day and I am trying to get my menu together. I think my guests will love these! Eeep! These are GORGEOUS! 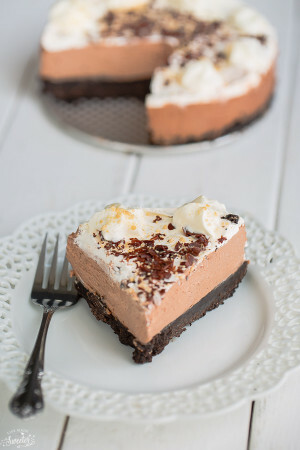 Heading over to check out the recipe because I NEED these in my life! Awww these cookie cups are so adorable! I love the jam hidden in the bottom. And they’re so pretty with the little fresh berries on top. Love! These cookie cups are so cute! Raspberry is my favorite fruit of all time so I know these would be dangerous to have in my house! Beautiful photos Kelly! These sound SO good – I love this combination of flavors and textures. How perfect these would be for a springtime party or even a baby shower – so pretty! Loving your Cinco de Mayo round-up posts! I wish I’m back in the US to celebrate the holiday. Your mini cookie cups are absolutely gorgeous…I love hazelnut-chocolate butter, they are the perfect ‘frosting’ on everything else!